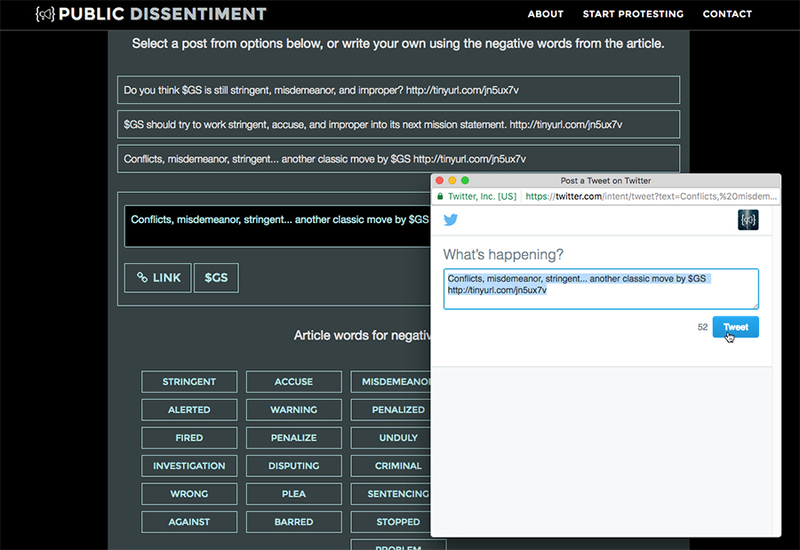 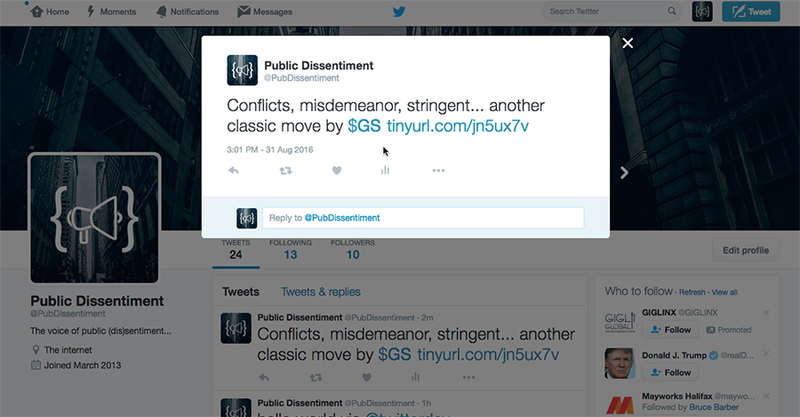 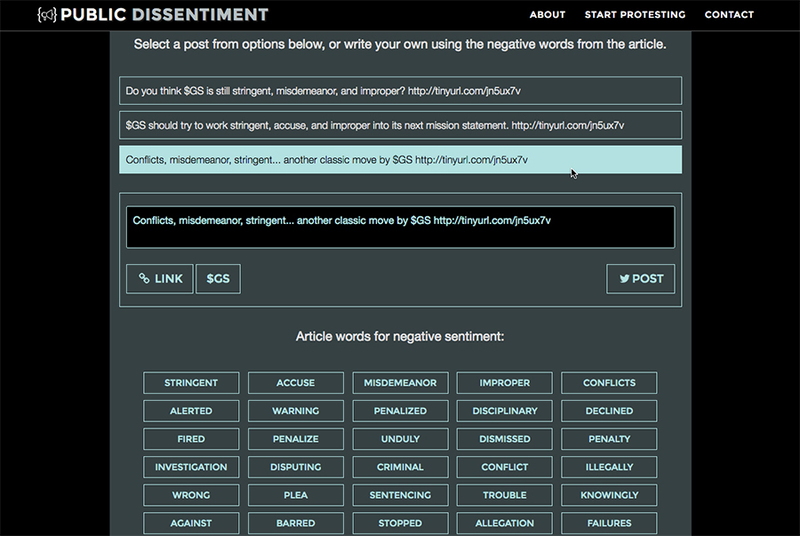 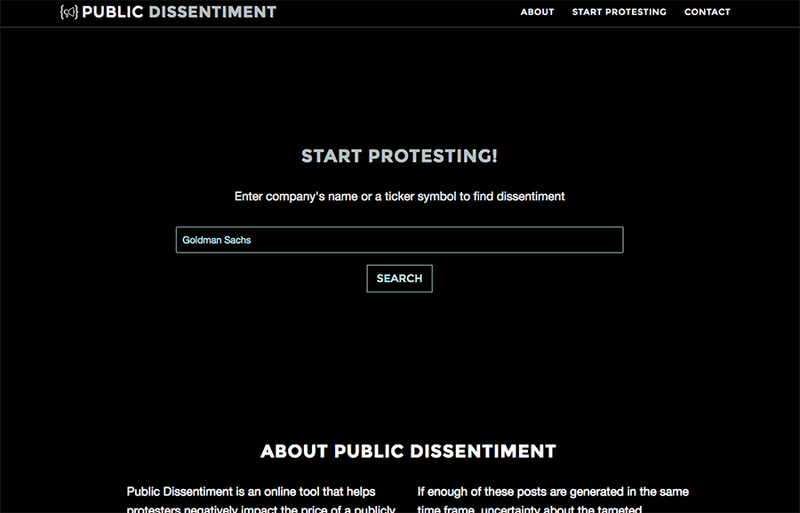 Public Dissentiment is an online tool that helps protestors negatively impact the price of a publicly traded stock by using the same sentiment analysis tools used by stock trading algorithms. 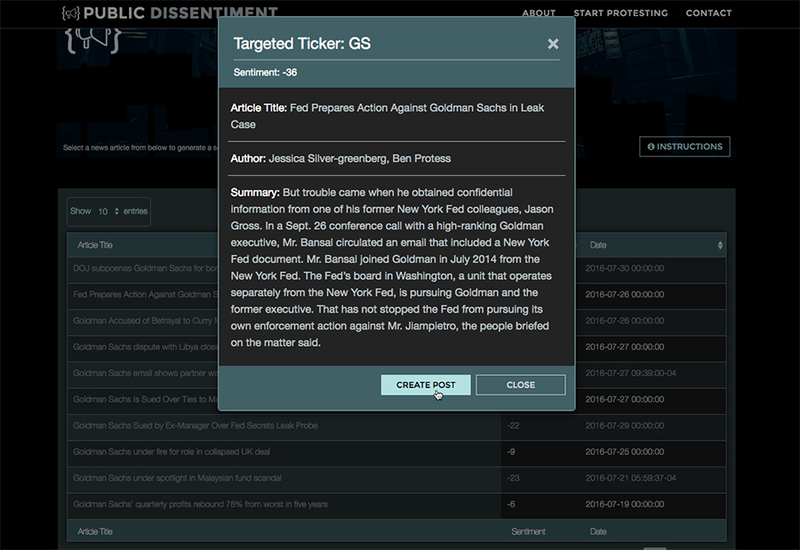 In the contemporary stock markets, high frequency trading bots that continuously buy and sell stocks perform the role of market makers. 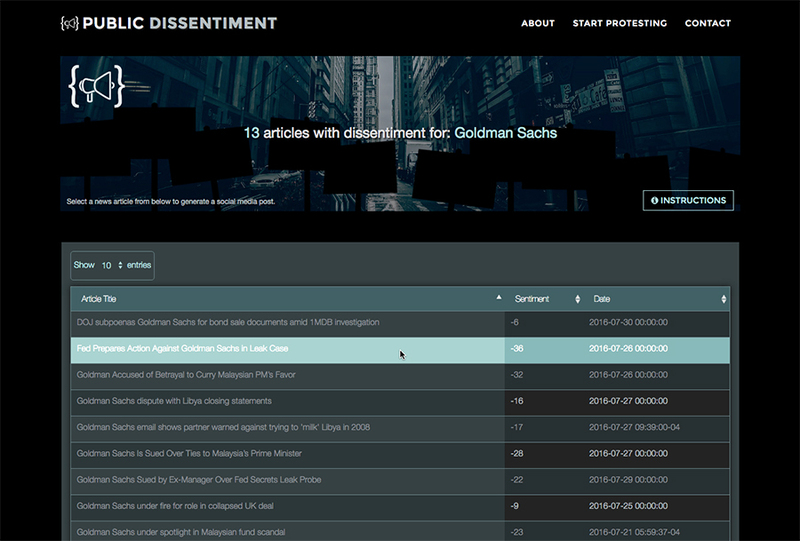 These bots provide the market with liquidity by usually being ready to take the buy or sell end of a stock trade. 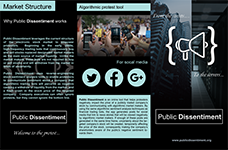 However, these algorithms are also reading news stories and social media posts at lightning speed, and when they detect uncertainty they will pull out of the market causing a stock, or group of stocks, to drop rapidly in value. 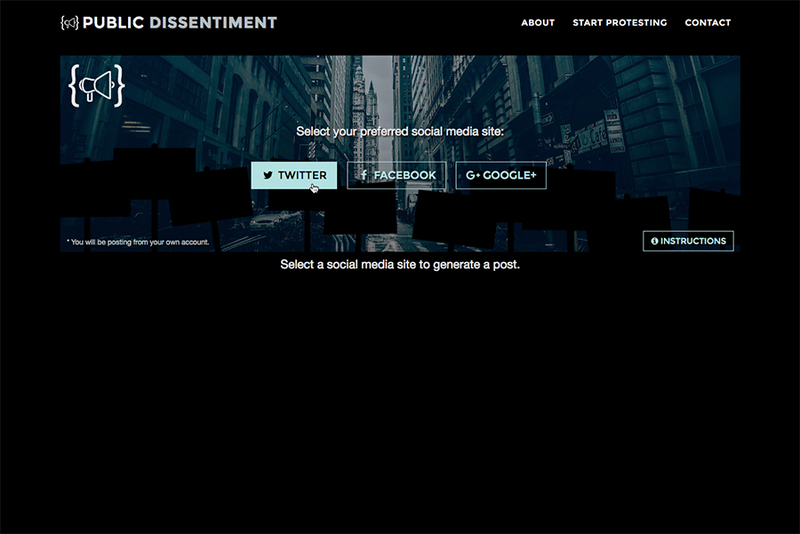 Public Dissentiment helps protestors generate social media posts about targeted companies that financial sentiment analysis algorithms will believe to be exceptionally bad. 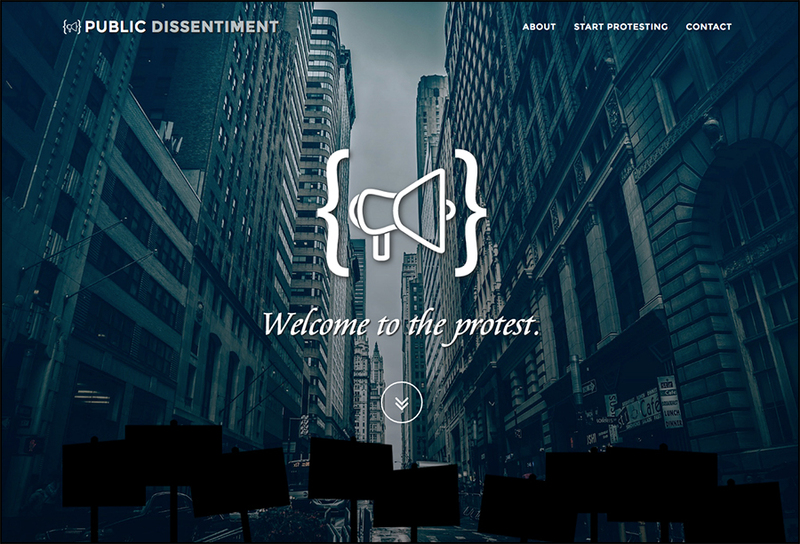 When the app is used by a large group or swarm, the price of the company’s stock will temporarily drop, allowing the protestors to make the shareholders aware of the public’s negative sentiment towards their company.